UPDATE, Saturday 11.30am: While Bureaucrats and politicians weigh in over the sudden closure of the Borumba Dam camp ground, Imbil businesses are set to lose out financially. With the announcement of the cancellation of the Mary Valley Family Fishing Classic yesterday, Imbil business owner Graeme Rummler fears for his future. Mr Rummler owns Borumba Fishing and Outdoors, the shop where the majority of Borumba Dam users buy bait, tackle and area information. While he could not put an exact figure on how much he is set to lose, he said it would be significant. "I can't see why they had to cancel it (the Mary Valley Fishing Classic)," Mr Rummler said. "It keeps a little business like me open. "It is affecting the community," he said. Gympie Regional Council have also weighed in on the closure. 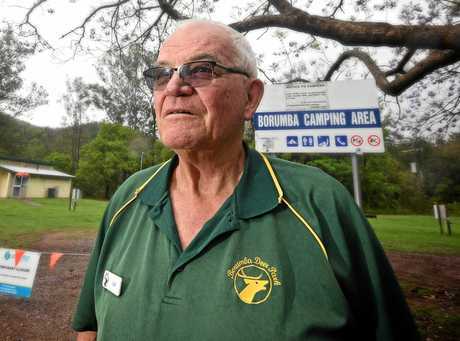 "We are disappointed to see the Borumba camping ground close," a council spokesperson said. "We understand the importance of both the camping site and the community events associated such as the fishing classic, and how this can have a major economic impact on the regional area. "This is not a council related matter, however we understand the site will be reopened. "We look forward to the announcement and reopening of the camping ground for the local community and visitor's to the region," they said. EARLIER: The State Labor Government has been called on to immediately reopen the Borumba Dam camping grounds. 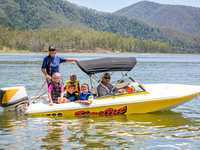 Member for Gympie Tony Perrett said Main Roads, Road Safety and Ports and Energy, Biofuels and Water Supply Minister Mark Bailey should step in immediately and either overrule or intervene into Seqwater's closure of the popular camping grounds. "This is a direct attack on the average person's family friendly, low cost holiday or weekend away," Mr Perrett said. "Only a bureaucratically created fiasco would produce this lock-out which is right on the eve of school holidays and two weeks before a major fishing event. "The absurdity of closing a camping ground, four weeks before school students start breaking up for the Christmas holidays, is the height of bureaucratic stupidity. "The grounds have operated successfully for as long as anyone can remember and all of a sudden, at the stroke of a pen the rules have been changed creating even more red tape for the camping ground to comply with. "What has been accepted and condoned for years was changed overnight. "Normally there would be 20 to 30 campers at the site and today when I visited it was absolutely empty - no one was there. 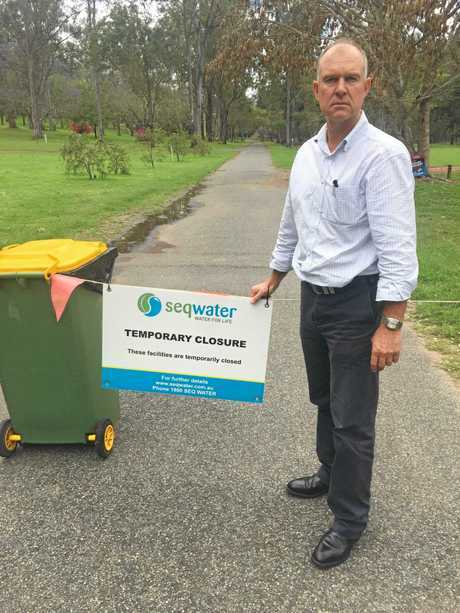 Gympie MP Tony Perrett has called on the State Government to overrule Seqwater on the closure of the Borumba camping grounds a month out from Christmas holidays and two weeks out from the Mary Valley Fishing Classic, which has now had to be cancelled. 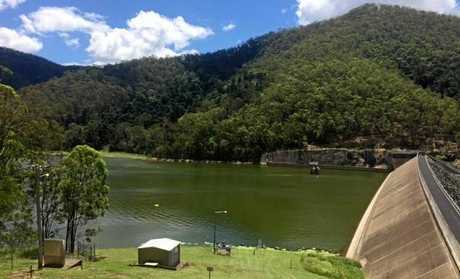 "And today we have been told that the Lions Mary Valley Family Fishing Classic has been cancelled because it could not comply with the logistical problems created by Seqwater's new management requirements. "The Minister needs to step in right now, not next month, or the month after and fix this mess. 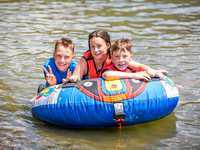 "The site has been popular for low cost holidays and weekends away for more than 4000 campers every year. "Visitors do not expect five star facilities and see it as a family friendly, low cost, hassle free holiday with some returning year after year as permanent bookings. "The Mary Valley is a small close knit community which relies on visitors for its economic prosperity and support. "Local Imbil businesses rely on outside tourists stopping in the town to buy supplies, fuel, ice, and patronise the pub, cafes, butcher shop and other retailers. 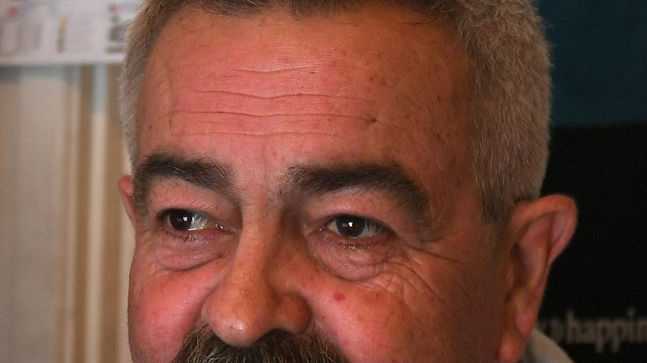 "I have written to the Minister asking for his immediate intervention," he said. CHAINS across driveways and padlocks on doors. That is how the Borumba Dam camping ground has been left after a disagreement over business viability caused the facility to close on Tuesday. Former manager Col Huddy said he was unable to meet new stipulations imposed by Seqwater, and as a result has been forced to vacate. "Seqwater has instructed us to remove all the fireplaces as they do not meet their standards," Mr Huddy said. "This puts us in the position of being responsible for managing the unacceptable risks that go with uncontained fires. "Seqwater insists all grey water cannot be discharged on to the ground and so must be discharged into drains but there are no drains. "The manager is forbidden to construct drains and the provision of drains is a Seqwater sole responsibility. "We cannot comply with this condition. The refusal to allow us to pump water means it must be brought in by tanker at a very significant cost and as a result the business will operate at a loss or if we are lucky it might break even. "No one can undertake to run a business at a loss," he said. Mr Huddy said the impact on the Mary Valley economy would be significant. "There is definitely going to be a reduction of people," he said. "All the people that come here for weekends and holidays come from further away. "The day use people will still come, but the long stay people aren't going to be here at all. "50% of the people that use the dam now will find it difficult to do so in the future," he said. Mr Huddy has had a management agreement with Seqwater for the past 11 years and was successful in his latest tender to continue managing the facility. 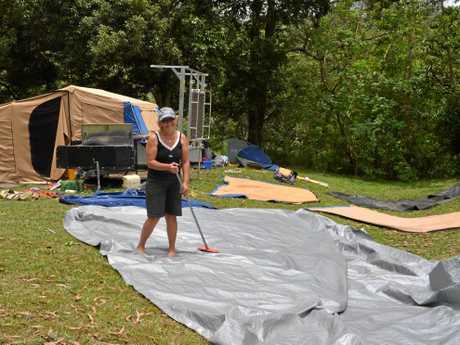 A spokesman for Seqwater, the company responsible for managing the south-east Queensland water grid of which Borumba Dam is a part, said the closure of the camp ground was temporary. "The organisation recognises that the camp ground is a valued asset for the community and hopes to be in a position to announce the outcome of the tender process shortly," he said. 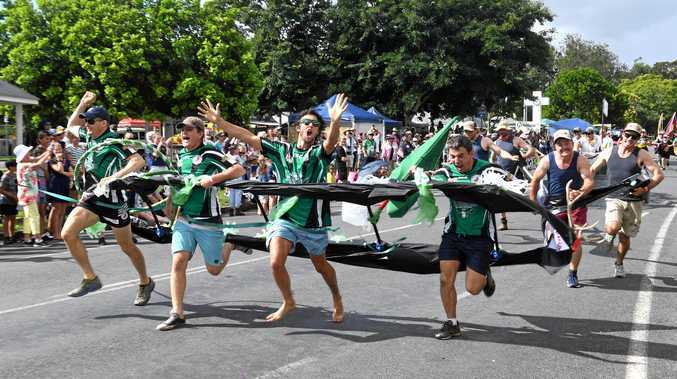 "We're working with the local event organisers to ensure planned events can continue to run at the camp grounds until further arrangements are in place. 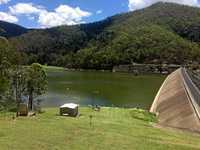 "Seqwater recently launched a public tender for operation of the Borumba Dam camp grounds. "The existing licensee Col Huddy was the successful tenderer. Unfortunately, we were unable to agree to terms and Mr Huddy has made a commercial decision to withdraw his tender. "We thank Mr Huddy for his years of hard work in making the camp grounds a safe and enjoyable place for people to visit and wish him well for the future. "Seqwater is progressing with the tender process along with the proposed refurbishment and upgrades of the existing camp ground facilities scheduled for February 2018. "Confidential tender negotiations are ongoing and we expect to make an announcement on the immediate future in the coming weeks," he said.